Traveling around the world is wonderful, getting to know new people, experiencing new cultures, finding out about local traditions and embracing different ways of living. But traveling also means making a lot of sacrifices and compromises regarding your body. Recalling my trip through Siberia and the nights spent on the Olkhon island from lake Baikal, freezing in a cabin without heating, or the what seemed to be an infinite walk to the train station in Hong Kong when the humidity levels were up high and I could barely breath carrying my heavy backpack, or the 38 degrees of Chile, I went through a lot of extremes that affected my body. 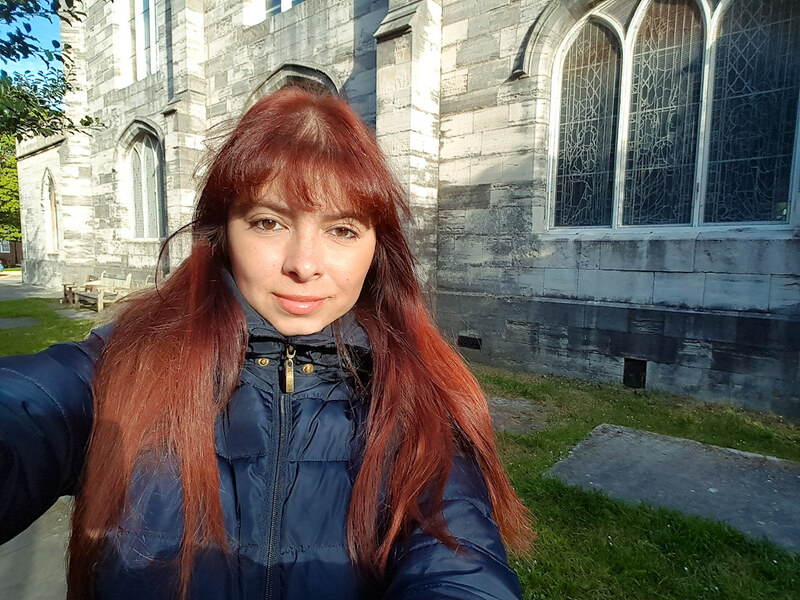 I can easily say that hair is one of the most vulnerable when it comes to traveling, especially because I also like to dye my hair red. While I am on the road I am not able to carry with me my professional shampoo or conditioner and I am not able to take care of my hair the same way I do while I am at home. Weather is one of the biggest enemies of my hair, extreme temperatures having a devastating effect on it. Also, different destinations have different water compounds which make it harder or softer, depending on the amounts of calcium and magnesium in it. The question is, what can we do to protect our hair while traveling? I never leave home without a mini-version of a good conditioner. While a shampoo will only clean the hair, a conditioner will offer protection and moisture for a smooth and soft feeling, resulting in a shiny healthy look. A good conditioner also helps if your hair tangles easy, like mine. This is a no-brainer really. You know how dangerous the rays of sun are for you, especially in tropical destinations, and while you are used to covering yourself with sunscreen, you need to do the same for your hair. First of all, you need to know that the sun can burn your scalp as well, and not only damage your hair. Secondly, the sun is drying your hair, discolorating and thinning it. Another sign of sun damage is frizziness and split ends. Light colored hair is more exposed to sun damage than dark colored one. There are several products on the market that act like a sunscreen for your hair. Use them and don’t forget to reapply as indicated on the label. When you are sightseeing always wear a hat to cover your hair. If you want to go sunbathing, try to do it in the morning and in the afternoon and stay under an umbrella. Chlorine is found in the water of every pool and it is used to sanitise it and keep it safe from all the harmful bacteria. On your hair however, chlorine can have a damaging effect by stripping away the natural oils that protect it. As a result you hair becomes dry and brittle, and its color starts to fade. To diminish the effects of the chlorine, before jumping into a pool make sure you soak your hair in fresh water. Wet hair will take on less water and by taking a shower before entering the pool you prevent it filling up with chlorinated water. Once your hair is wet, apply some leave in conditioner or simple olive oil. If possible, try wearing a swim cap while swimming in a pool. Always shampoo twice after swimming in a pool, to make sure you get all that chlorine out of your hair. Hot water can cause the hair follicles to weaken which can result in your hair falling out. While it is great to wash your hair with warm water when you shampoo it, make sure that after you’ve applied the conditioner you switch to cold. Warm water opens the cuticles of your hair, allowing the shampoo and conditioner to work, while cold water closes them down, sealing in the moisture from the conditioner, making your hair look healthy and shiny. How water will also create tangles in your hair which can lead to breakage when you try to brush it. Even if you are traveling, don’t forget to drink plenty of water to maintain your body hydrated. Your hair will also benefit from drinking water, as it makes it stronger and prevents it to dry. Drinking at least 8 glasses of water each day will keep your hair shiny and healthy looking. Don’t forget to also eat plenty of fruits and vegetables, as your hair will receive the nutrients and vitamins required for it to be stronger. When I returned from my trip to Chile and Argentina, where I have experienced extreme weather, from 38 degrees and powerful sun in Mendoza to the 10 degrees rainy Puerto Montt, The Harley Street Hair Clinic sent me a hair care hamper to help my hair recover from the damage. After using the shampoo and the conditioner for a couple of weeks now, I noticed my hair getting its shine back, looking so much healthier than when I returned from the trip. 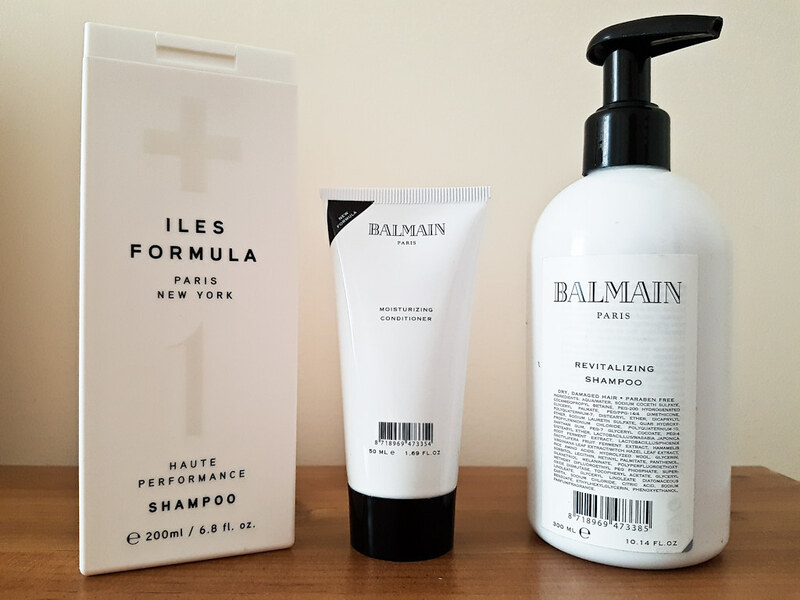 The hamper came with three products: an Iles Formula Haute Performance shampoo, a Balmain revitalizing shampoo and a Balmain moisturizing conditioner. The Iles Formula shampoo has done miracles on my hair and no wonder, when I read the label and I found out that it has no parabens, sulfates or other chemicals that can harm my body. I like its subtle floral aroma and the fact that I only need a little bit for my long hair. I have noticed that while using it the color of my hair has remained the same, which is very important to me. I have also noticed my hair becoming silkier and with more volume, much easier to comb and less tangled. I have been using the Iles Formula shampoo together with the Balmain moisturizing conditioner, a nourishing balm enriched with organic Argan Oil to help treat damaged hair. The conditioner also protects against the UV radiations and creates a barrier against the different daily factors that could affect the health of my hair, like pollution for example. Another benefit of the Balmain conditioner is that it is paraben free, perfect for sensitive scalps, stimulating hair growth. I didn’t get a chance to use the Balmain revitalising shampoo yet but I did a little bit of research and found out that, the same as the conditioner, it is paraben free and it is suitable for colored hair. It is a shampoo designed for dry and damaged hair, with vitamins E, F and P in its composition, helping restoring the natural shiny look of the hair. I am looking forward to start using it after I finish the Iles Formula shampoo. Disclaimer: Please note that I received the luxury hair care hamper for free. However, all comments and opinions in this article are my own. That is so true, that’s why I am not able to take my professional hair care products with me when I travel. I do however manage to buy travel size bottles of good hair care products in Boots, just not the professional range. Great tips. My biggest challenges are drinking water and not taking a hot shower. You are totally right, I just find those two really hard to follow. Your hair is lovely! Great article!! One of my aunt travels a lot and from her I got to know the importance of such things to keep your hair healthy. And your post is in addition to those things. Thanks for sharing with us. I’ll tell her about these more things. Hair Care is important and while travelling it’s a must. Thank you for emphasizing and the useful tips. These are great tips! I especially appreciate that you included protecting your hair from the sun. That’s not one that many people (including myself) typically think of, but it’s very important. This is so interesting! My hair always gets destroyed on holiday in the sun, my colour goes terrible! Great advice, thank you for sharing! Great tips, I remember being in the Lake District once, not even that far from home, but the water was different and I couldn’t do anything when I washed my hair as I forgot my conditioner. It was hellish! This is wonderful. Seriously .. when my husband and I travel I’ve always wondered why my hair suddenly goes astray! I’ll have to start bringing my own conditioner along for sure. Also .. the tip about hot water and your hair follicles? Who knew? I’m a steaming hot shower girl .. but that may have to change in the name of good hair! I can’t resist the tropical heat! Therefore I’m having the split-ends problem for a quite long time. I try to cover my hairs as much as I can on my trips. Secondly, my skin is allergic to chlorine. Therefore I avoid going to pool. 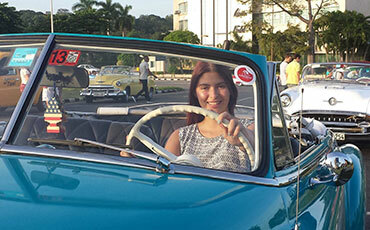 Thanks Joanna for sharing some great tips! These are great tips. I certainly knew about the chlorine. I wasn’t aware that they had lotion for your hair just for the sun. Good to know. Thank you for this great article. It is always so hard to keep my hair in tact when traveling. With the new atmosphere, water and all sorts of stuff it can be frustrating. I’ll definitely take this into consideration. These are great! Although I don’t do much travelling, this post has really made me think I definitely do not take care of my hair as well as I should! It is so important to take care of your hair, even more so when travelling. Those products sound fab! These are all such great tips! I wasn’t aware that hot water can weaken follicles! I always forget about heat too and how dry and frazzled it can make your hair!! Important reminders! The are some great tips 🙂 Chlorine really does damage the hair! This definitely helps. I’ll be traveling to Utah to visit my grandfather, and I have multicolored hair. The odds of them having a sephora nearby for me to pick up my conditioner is nil and none lol. I always slap on the conditioner after I have been in the sun. My hair can get so dry. This is a really interesting and I’m glad I do most of these, although I probably wouldn’t where a swimming cap! I always take a good replenishing mask whenever I travel. I can use any shampoo but i have to have a good conditioner/treatment! some great tips here. I tend to opt for really hot water so I’ll try to stop that! And despite slathering on suncream, I’m not so good at protecting my hair from the sun, so I will take that advice on board too! Great suggestions for hair care. I always take conditioners on holiday and if I stay for more than a few days then a treatment to do half way through as the sun can really cause a lot of damage.